This class is a combination of Reiki Master and Master Teacher. This is a three day training. Meeting dates for days 2 & 3 will be determined by the cohort. The Advanced Reiki Placement is an enlightening and transformational energy attunement that enables you to use the Usui Master symbol in your life and in your healing work as a practitioner. 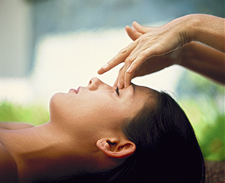 As a Reiki Master Teacher, you will be able to train and attune clients from levels1-4. Upon completion of this class, you will receive a Reiki Master Teacher certificate. Proof of prior training is required, prior to registration. Please email any prior certifications to info@MidlanticWellnessCenter.com. Tuition: $600 includes training, manual and certificate.